Why do I practice Astrology? Because I love helping people “wake up” to their unique talents and gifts. When you use Astrology to light your path, you gain insight into how to most gracefully dance your own unique role in the Cosmic Pattern. Whether you come and have your chart done, or take a class from me, we will work together to open up your highest potential. I LOVE teaching and encourage my students to work both on their own charts and those of friends and family, as Astrology can help clarify and redefine family and other patterns for the happiest outcome. Old myths connect with modern astronomical data to provide us with a full picture of ourselves and others. I offer Astrology classes individually and online throughout Nova Scotia, Canada and internationally. I also speak internationally. I have been invited to lecture in Calgary at the National Astrology Conference, in Buffalo New York, in Baltimore Maryland and in Kolkatta India. I will also be speaking at UAC the largest astrology conference in the world. If you would like a mini intensive in your area, drop me a line and we can set something up! Below is a bit about my background and training. Halifax Astrologer Mj Patterson CA NCGR-PAA beegan practicing Astrology in 1978 and has been professional since 1987. She has held executive posts with the Ottawa Astrological Society and was a co-founder of the Astrologers’ Registry of Ontario, with Jean Hirst and the grand old man of Canadian Astrology: Axel Harvey. Before moving from Canada to the UK in 2002, she correctly predicted the Hamm majority government against all polls at the time and won notable mention in Hansards, the official record of the Provincial Legislature. 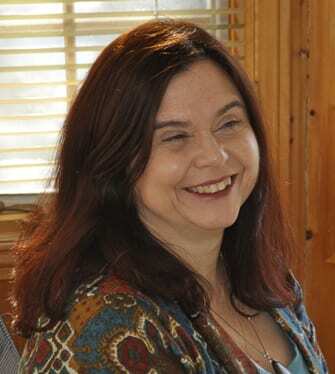 She returned to Canada in 2011 and has reestablished her professional practice and astrology teaching to certification both in realtime and online. Mj is a founding Director of the Atlantic Professional Astrologers’ Association. As an NCGR-PAA professional, Mj can offer examination, meaning that you will get an internationally recognized certificate for your studies! A CA NCGR-PAA is is the equivalent of a 4 year university degree in Astrology and it means the graduate has studied mathematics, astrophysics, celestial astronomy and a plethora of astrological techniques including Vedic, Sidereal and Uranian. With her degrees in languages, computing science and Mathematics, as well as a Masters in Educational Psychology. Mj’s background in teaching, coaching and Psychology lend good value in support of clients looking to make positive changes for themselves based on information revealed by the chart. Mj is a fabulous teacher, always illustrating points with stories and examples, and she has extensive experience as a practicing astrologer so she knows the material. She is also very supportive of her students and genuinely wants them to succeed. Mj’s particular area of interest is in Astropsychometry: using astrological measuring tools to help clients find their optimal form of self-expression, whether through career, relationship, or self development of another kind. She is also a student of Medical Astrology, with world-class Medical Astrologer Judith Hill. Mj’s passion for accuracy has her actively involved with the ‘Gators’, an international Astrological research group, headed by top astrologer and engineer, Alphee Lavoie. She has clients around the world and teaches and lectures on Astrology internationally in French, English and Spanish. However is currently based in Halifax. Halifax Astrology is where Mj currently focuses her time working with many clients in the Halifax area and worldwide. As a graduate of the renowned STA Horary Astrology course, Mj now offers horary astrology for the retrieval of lost objects and other timed questions. Mj is a a founding member of APAA the Atlantic Professional Astrologers’ Association / l’Association Professionelle des Astrologues de l’Atlantique. She is a past Research Director of the National Council of Geocosmic Research (NCGR), a founding Director of the Atlantic Professional Astrologers’ Association (APAA) and a professional member of the Association of Professional Astrologers International (APAI). Mj is the Canadian Global Directoor of the of the International Association for Astrological Research (ISAR), a member of The Association for Astrological Networking (AFAN), and, delightfully, a member of the Association of Young Astrologers (AYA) (perhaps because of her mental age ?! ;->) These connections mean she is up to date with the latest tools and techniques to improve your experience, whether as a client or as a student.